So in the very active world of EverQuest II of late… is anything else going on at Daybreak, because they don’t seem to be talking about anything besides EverQuest and EverQuest II… another idea has come bubbling to the surface; Drunder – The Prison Server! A simulation of a player being sent to Drunder? We are very busy here on the EQII team and we have something coming up we wanted to make you aware of — a little experiment. Later this week we plan to release a server we are calling “Drunder,” which is a “prison server.” What does that mean, exactly? Ultimately, players who are caught breaking our rules and disrupting EQ2 live server gameplay will be flagged for this server, and no others — ever. Characters on these accounts will be copied to Drunder (the “prison server”) and can never leave or transfer to another server. As I said, this is an experiment. We wanted to see what happens given it’s not a very common option. No doubt named for the Fortress of Drunder in the Eastern Wastes (and yes I had to look that up) it is now… um… a thing to talk about I guess. And talk people have. Some of the reactions were predictable. There has been the usual amount of “OMG, my pet issue/idea hasn’t been addressed, but you have time to work on that!? !” which both fails to understand that the world is not a perfect zero sum game and ignores the possibility that maybe this is addressing an issue that was costing the team cycles already. Still, time was expended on this, so one can at least legitimately ask what the end goal really is. Then, of course, there were the people who wanted to go and play on this server! Special server! Greater challenge! 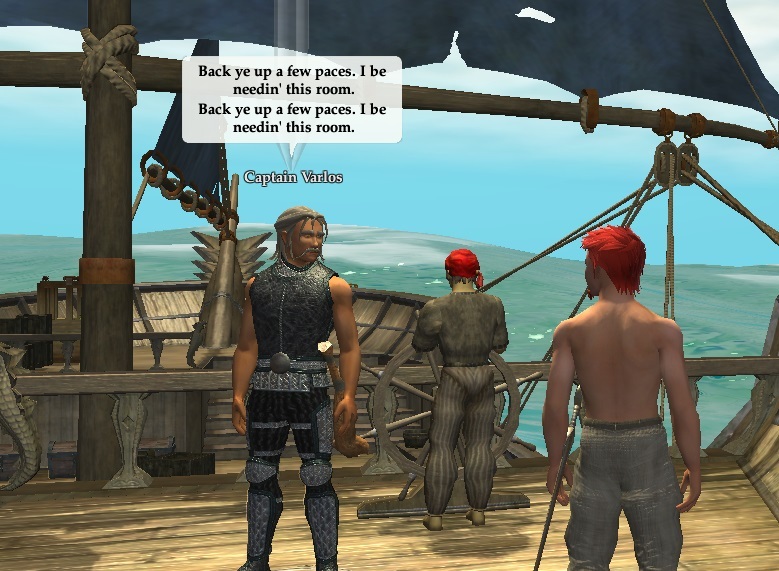 Battle a sea of annoying problem children in Norrath! But, as Holly’s post says, this isn’t a “make a character/transfer a character” server, this is a place where your whole account is banished forever. You can petition to go there if you want, but you’ll be there for good. The interesting part for me is that the players will get no customer service… which I guess is expected… and will have to have an active Daybreak All Access account to play. You must pay for the privileged of being banished! Wasn’t that something from the movie Brazil, where the accused had to pay the bill for their own interrogation, leading a guard to implore Sam Lowry not to hold out too long as it could ruin his credit rating? So I am curious to know how many will pay to be on this server. Some will, I am sure, but will it be enough to sustain even the minor cost of running the server? And will they still get their Daybreak Cash stipend and have access to the cash shop and be able to buy expansions or adventure packs or whatever Daybreak is selling? Of course, what you have to do in order to get sent there is deliberately vague. You cannot lay down strict rules because people will push the envelope or, like the guy who claimed he couldn’t be charged with gross indecency because he had only been incident 143 times, look for technicalities or loopholes or make the fairness argument because their infractions were less serious than somebody else’s in their opinion. In the end though, I don’t know how this will play out. What sort of relationship does this lead to. Is it going to be some sort of Escape from New York dystopia, players raging against other players, griefing and annoying all who come within range? Will the players unite and defy the company and form their own community? Will Drunder even be noticeably different from the current servers? Will people just quit? However, if the EverQuest II team did this in order to attract some media attention for their game, they have certainly won on that score. Feldon over at EQ2 Wire has compiled a list of major gaming… and a few non-gaming… sites that have picked up and reported on the prison server idea. That is enough attention that they might have to really go through with it and report on it regularly. Of course, if they really want to make this a really interesting experiment, they ought to let people volunteer to be GMs on the server and watch how that plays out. 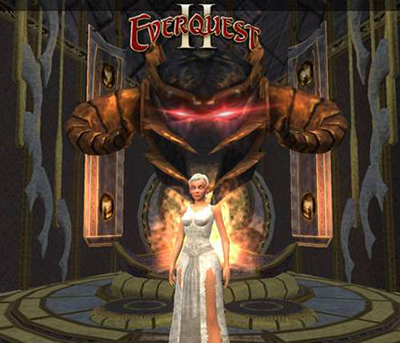 This entry was posted in Daybreak Game Company, entertainment, EverQuest II and tagged Drunder on August 21, 2015 by Wilhelm Arcturus. Elite:Dangerous has something similar with their shadowban for cheaters. You still get to play the game, but the only pilots you’ll ever see in space are other cheaters. I read about this yesterday afternoon, talked with guildies in Rift about it, and *still* have no idea as to why they are doing this. Why don’t they just ban the accounts in question? They obviously don’t care about them (i.e. no customer support), so what’s the point of banning them versus moving them to another server–the monthly sub fee? I really have trouble seeing a majority of people keeping their accounts active after getting sent to Drunder. So how is this a positive thing for either the community or the bottom line versus outright bans? @Kevin Bril – The only thing I can extract from the statement is that, perhaps, these are players that they wouldn’t otherwise outright ban. The bit about GMs requesting this for disruptive players makes me wonder about that. That said, if you were a “disruptive” player who hadn’t done anything that would rate as worthy of an outright ban, would you continue playing/paying if you were send to Drunder? What’s so difficult to understand? Segregate the problem players but still charge them. Isn’t making money from other peoples stupidity one of the fundamental tenets of capitalism? I am now too nervous even to log in. Not sure where this is going but it is bad. If there’s no CS and, presumably, no GMs, on Drunder, presumably players there can hack and bot and cheat to their heart’s content. If there’s no CS you can’t be reported and if you aren’t reported you can’t be caught so you can do anything you like. That could be quite attractive to some, I’d think. I wonder if they’ll make it a PvP server? That would make sense. I did make a post on this as well. And I think it’s a good idea that would be used more effectively by another publisher with a more populated game. @Bhagpuss – you bring up a good point about the botting and cheating. But I wonder if Daybreak could use this to their advantage. They essentially are creating a petri dish to observe botters and cheaters in their native habitat, which could be used to find ways to identify them on the “clean” servers. Meanwhile they are under no obligation to deal with them while they study.